Tucson AZ Attractions Include Interesting Places to See And Things To Do! Tucson AZ attractions provide give visitors and residents a lot of the interesting things to see and experience. Many of the Tucson AZ attractions are great day trips or short side trips. Fun things to do and learning experiences for the young and more experienced individuals. For the those interested in getting into the natural surroundings of the Tucson area, hiking is a favorite activity. While not on the list of Tucson AZ attractions, hiking trails in the foothills and mountain ridges surrounding the city are a very popular activity for residents and snowbirds. Tucson is a great place to live year around or have a winter get away.The attractions in Tucson are among the best in the southwest. For more attractions and scenes of Tucson AZ – Go Here! Now, check out these great Tucson AZ attractions. Tucson AZ was just ranked in the top 25 best cities to retire by Forbes Magazine 2015. Tucson, too SAHN or TOO sahn, is one of the oldest towns in the United States. Tucson was originally an Indian village called Stook-zone. It means water at the foot of black mountain. The Tucson Presidio was established in 1775. August 20th, 1775 is recognized as Tucson’s birthday. Spanish settlers arrived in the area in 1776. Tucson officially became part of the United States with the Gadsden Purchase of 1854. Tucson served as capital of the Arizona Territory from 1867 to 1877. What is now A Mountain was once a lookout post on the west side of the Presidio. In 1915 avid U of A Footballs fans whitewashed an “A” on the side of Sentinal Mountain. That originated the name A Mountain. Tucson boasts the best of both worlds. Tucson provides a progress and innovation of a metropolitan community. It also has the atmosphere of a small town.Tucson’s heritage centers around a unique blend of Native American, Spanish, Mexican and Anglo-American influences. The Sonora Desert provides a beautiful surround for the community. The five mountain ranges provide views to remember. With climate that has 360 sunny days a year Tucson is a perfect place for many. Tucsonans live in a unique place and active life style. 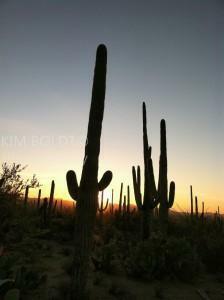 Moving to Tucson OR thinking of a Property In Tucson for a winter retreat? We Can Help!